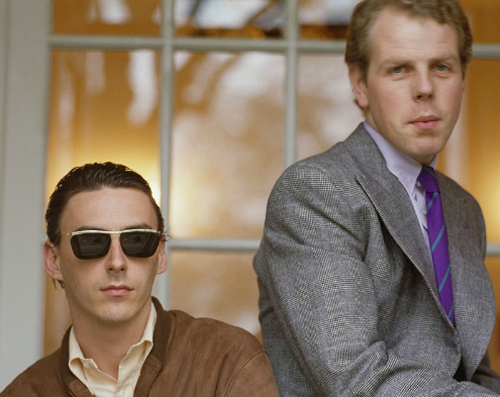 Few would oppose the belief that The Style Council were the best-dressed band the world has ever known. Looking back, I think they looked their absolute best in their summer gear, always perfectly attired for a stroll around the streets of Menton, Siena or Palma de Mallorca. 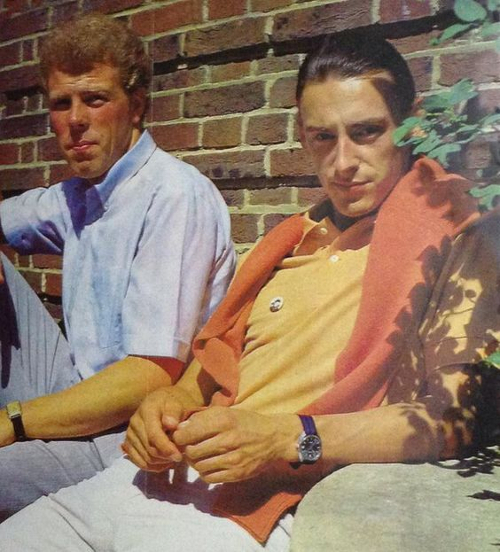 If you're baffled as to how you stay smart and cool in the heat of summer, then take counsel from The Style Council. One thing to note before reading on — white trousers or jeans: absolutely essential. 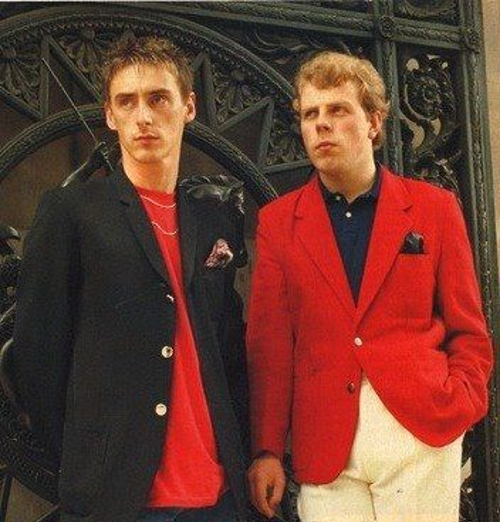 In the first photo (below) you see the boys — Paul Weller and Mick Talbot — in classic navy blazers (decent summer staples) with club scarves, badges and ties using the Style Council logo. Hansomely done, lads, handsomely done. You can leave the scarf aside for winter. Paul's white jeans are turned up a little. The black loafers and white socks are textbook mod, but work very well here because they complement the rest of the outfit. Next up we see button-down short sleeved shirts and bright polo shirts (with deux points for wearing a sweater over the shoulders). 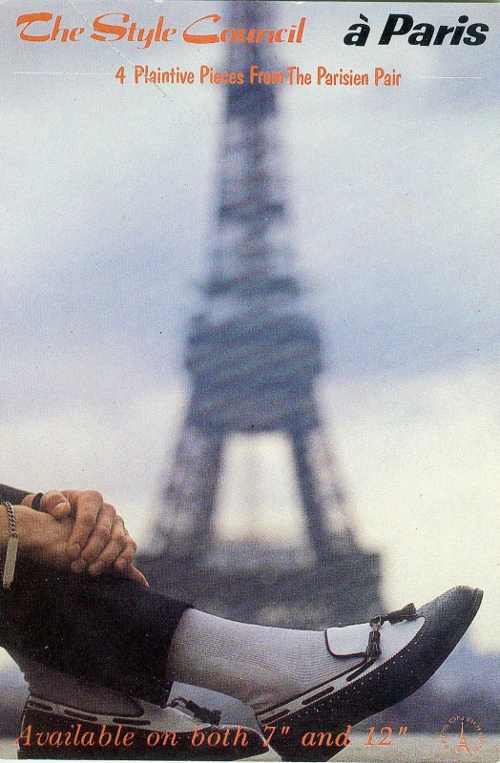 Watches: Paul is wearing a grosgrain watch strap, Mick could be wearing a Jaeger-LeCoultre Reverso. The use of brilliantine is a good idea in summer (though a mod no-no, traditionally) as it keeps hair off the face. The Dennis the Menace and Gnasher badge puts in quite a few appearances. Who isn't a fan of The Beano? 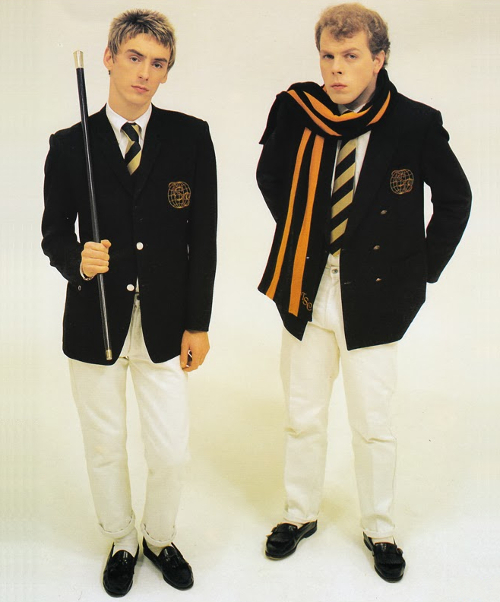 Here we see Mick in a striped boating blazer with a polo shirt underneath. Paul pairs a button-down shirt with Madras cotton shorts, and square-shaped sunglasses. If Paul had worn a polo shirt or espadrilles here, he could well have rendered the look too casual. 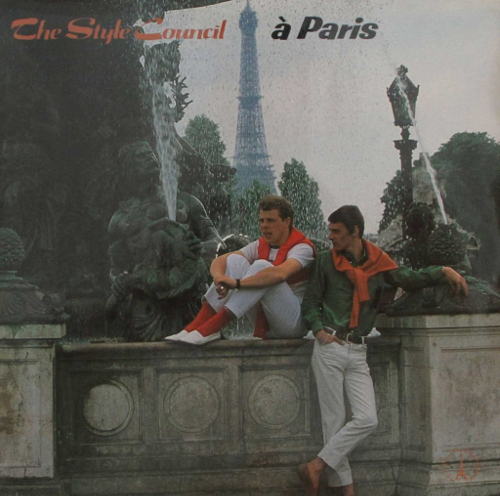 Speaking of espadrilles, Paul strikes out in full-on summer colours below. We have a Perry boy influence with the wedge haircut and gold chain over the polo shirt. The chain is of its time and best left aside. We see that grosgrain watch strap again. Paul is certainly unafraid of colour. Espadrilles are a Spanish high summer classic, but I'd suggest limiting to seaside locations. 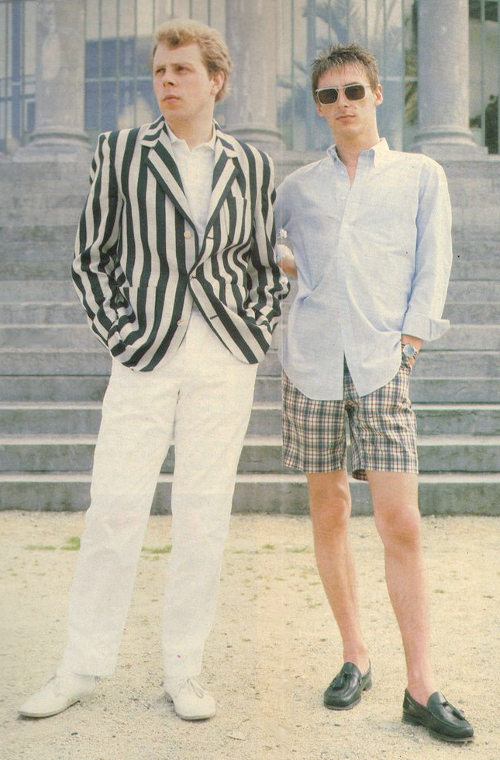 Next Paul wears a classic summer shirt in deckchair stripes. Keep it buttoned up though, Paul. I know it's hot, but still. Mick has the edge here, with lovely cream trousers worn properly at the waist before all that low slung silliness spread out from Los Angeles gaols. The not-so-common red blazer proclaims something or other in a delightfully summery way; and looks great with the navy polo shirt. 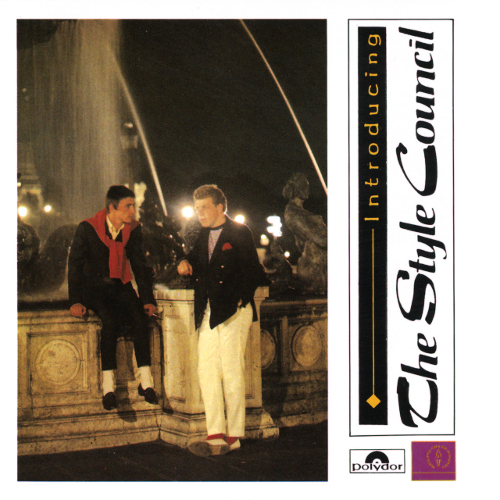 The record covers and promotional material of The Style Council circa 1983 bring many of these elements together. Oh yes, and the music was pretty damn good too. 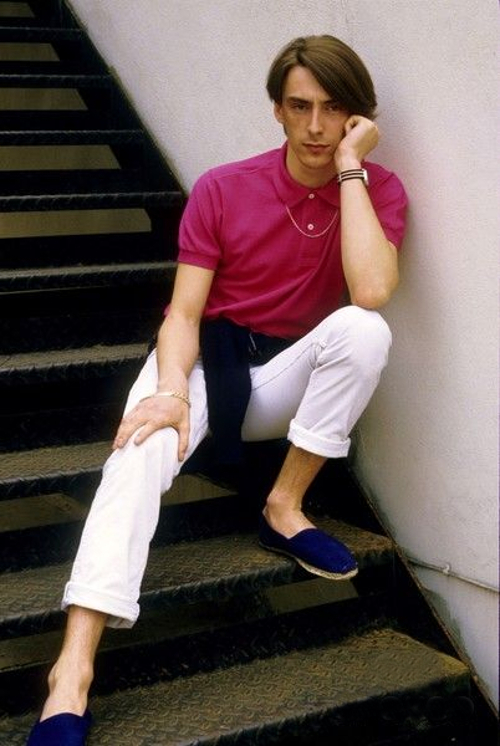 Weller. National treasure,and another great article from tweedy. How about something on cabbies shelters,or pie and mash. Happy to report that they're still going. Chicken and ham pie,mash,minted peas and gravey ,£8. Modern take on the pie and mash shop with cafes and restaurants in London,Bristol,and elsewhere. Thanks SK. I've tried the Pieminister in Bristol. Really good. Best wishes, Tweedy.